Boring machine Manufacturers analysis of the importance of their supplier selection _ News Center _ Xinxiang Blueprint Machinery Co., Ltd.
Today's development, we have a lot of different uses have a comprehensive development, especially for boring machine use more so. Now, in the process of processing, in order to ensure the accuracy of processing results, and smooth processing, then the indispensable device is the boring machine. and a variety of boring machine selection must meet the corresponding standards, so in some processing, at least to ensure the safety of processing. However, the processing time required accessories are many, so be sure to choose a complete selection of qualified suppliers, but also to ensure the accuracy of processing results. 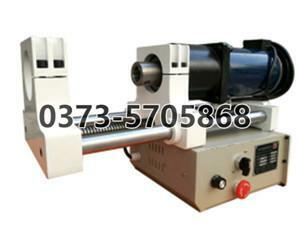 So how to choose the supplier of boring machine? With the development of many aspects today, all walks of life need to have boring machine, earlier, need to see whether the supplier it has a variety of processing room equipment, because in the purchase can not be said in each supplier to buy, so need to see whether it has integrity. The use of boring machine is very important, but how to choose our boring machine is very important, for the current overall application, the choice of boring machine is the way and method, and in the processing time required by the supplier can provide, can be included in the scope of consideration. Second, pay attention to check the quality of the boring machine, because the quality of its life, the purchase of accessories or hope that its service life can be longer. This can reduce the frequency of purchase, especially those valuable processing accessories, must be strictly examined, carefully selected, as far as possible to choose high quality and low price. The choice of the supplier is important, but the choice of the processing room device is more important, and the choice of the right device requires careful consideration. In order to ensure the smooth completion of processing, the qualified boring machine is a key factor.